Jetstar Airways will receive 18 new fuel efficient aircraft between 2020 and 2022. The longer range means direct flights from East Coast of Australia to Bali, not previously possible with A320 aircraft. This entry was posted in Jetstar Airways, Jetstar Airways (Australia) and tagged Airbus A321neo LR, Jetstar Airways on February 22, 2018 by Bruce Drum. 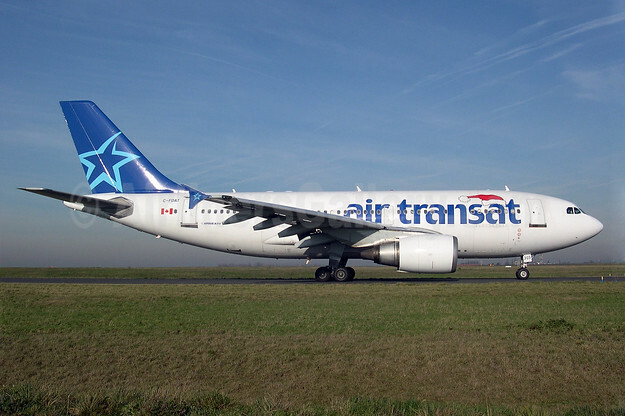 Transat A.T. Inc. has announced its Air Transat business unit has signed an agreement with AerCap for the long-term (12-year) leasing of 10 Airbus A321neo long-range aircraft (above). The aircraft are to be delivered between spring 2019 and fall 2020, and will replace Transat’s Airbus A310s, which will be gradually retired from the fleet (below). The A321neo LRs will be deployed on both Sun destinations and transatlantic routes. Combined with the Airbus A330s and Boeing 737s, they will serve Transat’s entire network in an efficient and cost-effective way. Air Transat’s A321neo LRs will be configured for 200 seats across both classes: Club and Economy. All seats will be equipped with individual touch screens offering an extensive choice of entertainment for all. Air Transat will be among the first carriers to operate the new long-range (LR) variant of the Airbus A321neo (new engine option). The A321neo LR has the longest range of any single-aisle jetliner, capable of flying up to 4,000 nautical miles (7,400 km). It is ideally suited for Transat’s combination of routes. Specifically, its size gives major flexibility in terms of flight commercialization and frequency while its fuel efficiency will keep cost per seat as low as possible, while reducing its carbon footprint. Air Transat’s fleet currently consists of 31 permanent aircraft in a unique flexible-fleet model that allows it to deploy more wide-body aircraft in summer for the high transatlantic season, and narrow-body aircraft in winter for the high Sun destinations season. Copyright Photo Below: Air Transat Airbus A310-308 C-FDAT (msn 658) (Santa Hat) CDG (Pepscl). Image: 902807. This entry was posted in Air Transat and tagged Air Transat, Airbus A310-308, Airbus A321neo LR, C-FDAT, CDG, msn 658, Santa Hat on July 11, 2017 by Bruce Drum.